Keeping children safe is the number one responsibility of a babysitter. The 4-H Babysitting Course was completed by six young people this year: pictured from left to right, front row: Hannah Farnsworth, Lindsey Frye, and Rhiannon Barycz. Second Row: Alexis McCord, Megan Alviar, and Kayla Brown. It was instructed by Carla Bush, UT Extension Agent, Erin Nichols, TNCEP Program Assistant and Linsey Arfsten, Cannon County Health Department Educator. 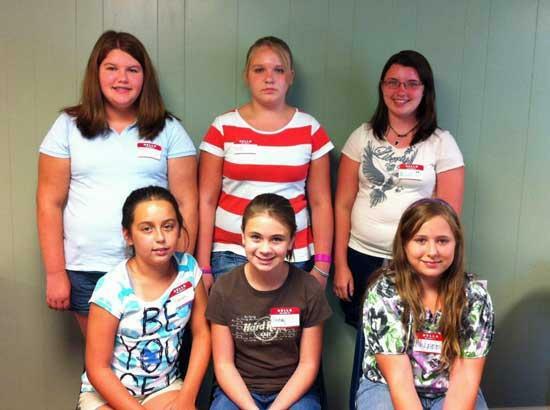 The 4-H Babysitting Course is designed to help middle school and teenaged youth learn what it takes to be a responsible, caring, trustworthy, competent, capable and safe babysitter.